The aim of our study was to evaluate the current nature and frequency of complications present on the first postoperative day (POD1) and to verify whether the completion of a follow-up visit at this time is justified after standard phacoemulsification cataract surgery (PCS). We used the PubMed literature database to identify relevant studies using the following keywords: postoperative, follow-up visit, complications, outcome, intraocular pressure, IOP, intraocular pressure spikes, IOP spikes, wound leakage, wound dehiscence, intraocular lens, IOL, dislocation, exchange, phacoemulsification, cataract surgery, and cataract extraction. We collected and analyzed 45 articles published between 1994 and 2017. The most common complications after PCS include corneal edema, postoperative uveitis, intraocular pressure (IOP) elevation, cystoid macular edema, and posterior capsule opacification. The IOP typically peaks at 3 to 7 h after surgery; however, none of the assessed treatment regimens were sufficient to protect glaucomatous eyes from IOP spikes. The majority of postoperative complications do not require early surgical intervention. Alternatives to POD1 follow-up after PCS include a nurse-administered telephone questionnaire, shared care with non-ophthalmologists, and seeing the patients at a low threshold in cases of complaints. The current literature does not support the concept of a POD1 follow-up after uneventful PCS in patients without posterior synechiae or chronic/recurrent uveitis and operated on by experienced surgeons. When eliminating the POD1, visit individuals should receive topically a potent steroid (preferably prednisolone or dexamethasone). Applying a combination of topical dorzolamide/timolol and brinzolamide postoperatively in patients with glaucoma would be recommended, particularly in eyes with preexisting optic nerve damage. Eliminating the routine POD1 follow-up could result in significant health care savings without an increased risk to the patient. The consistent and ongoing increase in health care costs necessitates a verification of current practice patterns and the elimination of redundant and low-value services. The problem is not trivial as the impact of superfluous tests and procedures in the United States (US) was estimated be as high as 30% of all health care spending, with just non-recommended activities in primary care accounting for an annual cost of $6.76 billion . Up to 97.1% of clinicians believe that the current frequency of unnecessary tests and procedures is a serious problem . The timing of postoperative examinations should be adjusted to ensure the expeditious recognition and management of complications in order to optimize the final outcome of surgery. Several practice patterns exist worldwide. The American Academy of Ophthalmology recommends a first-day postoperative (POD1) visit should be done in functionally monocular patients, following intraoperative complications, or in those at a high risk of immediate postoperative complications such as intraocular pressure (IOP) spike. In patients without these risks the follow-up visit should be scheduled within 48 h . According to the Royal College of Ophthalmologists, however, POD1 review is no longer in widespread use in the United Kingdom (UK). Such an examination is recommended only in complicated surgeries, in eyes with co-existing diseases (e.g., glaucoma, uveitis), or in patients with only one eye . Upon discharge, comprehensive information to identify potential complications should be provided, with a postoperative appointment date confirmed and the required medications dispensed. The Cochrane Database for Systematic Reviews found cost savings associated with same-day discharge (SDD) cataract surgery versus in-patient cataract surgery; however, the evidence regarding postoperative complications was inconclusive because the effect estimates were imprecise . The necessity for a POD1 follow-up in routine phacoemulsification was questioned more than 20 years ago [6, 7], and more recently in vitreoretinal surgery . The aim of the present study was to evaluate the current nature and frequency of complications present at POD1 in small-incision phacoemulsification cataract surgery (PCS) and to determine which individuals might require routine review at this time. Uneventful cataract surgery was defined as a procedure with no intraoperative complications (e.g., posterior capsule rupture, vitreous loss, lost nucleus, and zonular dehiscence). PubMed and Medline were used to identify relevant studies and the search was focused on articles evaluating the nature and frequency of complications after PCS up to Dec 31, 2017. The following keywords were used in various combinations: postoperative, follow-up, visit, complications, outcome, intraocular pressure, spikes, wound leakage, wound dehiscence, intraocular lens, IOL, dislocation, exchange, phacoemulsification, cataract surgery, and cataract extraction. The search identified 1167 unique articles and only English language articles were selected. Articles cited in the reference lists of other publications were also considered as a potential source of references. Studies were critically reviewed to create an overview and guidance for further search. No attempts to discover unpublished data were made. Articles providing original research and case reports were included. Conclusions from review articles were taken into consideration if relevant to the topic. Via our literature review, we collected and analyzed 44 articles published between 1994 and 2017. The prevalence of postoperative complications in some of the largest studies on cataract surgery is presented in Table 1. According to the Cataract National Dataset of the UK, the most common postoperative complications were “corneal edema, striae, and Descemet’s membrane folds” (5.18% cases), followed by postoperative uveitis (3.29%), IOP rise above 21 mmHg (2.57%), cystoid macular edema (1.62%), and posterior capsule opacification (1.22%) . The UK Specialist Hospital benchmark presented significantly lower complication rates in 20,070 cataract surgeries, with none of the formerly mentioned disorders reaching a prevalence of 1% . In the US Veterans National Patient Care Database, the most common postoperative complication in 45,082 cataract surgeries were posterior capsule opacification and cystoid macular edema . In the study by McKellar and Elder on the POD1, complications were observed in 10% of 1000 surgeries, while heightened IOP represented 88% of all complications . In more recent studies, a rise in IOP over 21 mmHg was observed in 0.31 to 2.57% of cases [9, 10]. In high-risk patients, early postoperative IOP increase above 28 mmHg was reported in up to 46.4% of high-risk patients . The risk factors for IOP spikes following PCS include residual viscoelastic material [13, 14, 15], resident-performed surgery [16, 17, 18], glaucoma [19, 20], exfoliation syndrome , axial length of more than 25 mm , tamsulosin intake , and topical steroid application in steroid responders . Postoperative anterior chamber inflammation might also result in an early IOP increase . In these cases, an effective way of controlling the postoperative IOP is to individualize the frequency of topical steroid administration. The IOP typically peaks at 3 to 7 h postoperatively and remains increased during the first 24 h after surgery. Although the increase is usually transient and does not influence the long-term quality of vision, IOP spikes are potentially more dangerous in eyes with preexisting optic nerve damage, such as in patients with glaucoma or atherosclerosis-related ischemia. Occasionally, a patient with a pressure of 40 to 50 mmHg will experience pain and perhaps nausea, resulting in dissatisfaction with the surgery or a phone call to the surgeon in the middle of the night. Several topical IOP-lowering agents have been evaluated, but none to dates have completely prevented the occurrence of IOP spikes. Kandarakis et al. found that a single dose of brimonidine tartrate 0.2% after cataract surgery reduced IOP elevation, but was not sufficient to protect glaucomatous eye from IOP spikes . In a separate study, the topical administration of 0.5% timolol maleate at the end of surgery eliminated IOP spikes to over 30 mmHg and reduced the frequency of IOP rise to more than 25 mmHg to 14% in the glaucoma group and 5% in the exfoliation syndrome group, respectively . Furthermore, Takmaz et al. noted that topical application of bimatoprost in eyes with exfoliation syndrome is effective in preventing IOP spikes ≥ 30 mmHg in the early postoperative period . It might be concluded that postoperative application of a combination of dorzolamide/timolol and brinzolamide topically in high-risk patients with raised IOP or preexisting optic nerve damage may be appropriate. A POD1 follow-up visit might be questioned, even in glaucoma patients, as any IOP elevation that will occur typically reaches its highest peak at just a few hours postoperatively. The transition to small-incision phacoemulsification resulted in a decrease in the rate of wound dehiscence from 2.8%  to 0.02–1.1% [10, 30, 31]. With that, it is possible to avoid complications from sutures . Currently, surgical revision is required infrequently; for example, in a study by Zaidi et al. of the 11 of 1000 consecutive patients undergoing PCS with wound dehiscence, only one eye required a reoperation with formal wound revision . Tamsulosin intake might increase the probability of wound dehiscence, with a relative risk of 3.81 times that seen in the control group . As patients taking tamsulosin manifest a pronounced risk for wound dehiscence, it was suggested that this group might require suturing of the corneal incision . Intraoperative wound leakage is usually observed at the side-port incisions and simply requires additional hydratation . Poor wound apposition is believed to result in postoperative hypotony, predisposing the affected individual to an intraocular infection. Interestingly, in a study by Shingleton, neither paracentesis nor keratome incision leakage was noted by fluorescein strip testing at the completion of surgery in eyes with hypotony, which was defined as an IOP lower than 10 mmHg at 30 min postoperatively . It was concluded that early hypotony may be a result of a disequilibrium between postoperative aqueous production and outflow, rather than incisional leakage. With that said, suturing did not affect the incidence of postoperative hypotony in this study. It is postulated that physical trauma related to surgical manipulations within the anterior chamber may induce an inflammatory response. The release of arachidonic acid from uveal tissue with the production of leukotrienes (via the lipoxygenase pathway) or prostaglandins (via the cyclooxygenase pathway) results in the subsequent disruption of the blood–aqueous barrier. Most authors agree that all eyes undergoing PCS should be free of any cell/flare for a minimum of 3 months before surgery. Patients with recurrent or chronic uveitis usually may undergo surgery during a “window of opportunity” when the inflammation seems to be better-controlled . In this case, preoperative or postoperative oral prednisolone, intraoperative treatment with intravenous methylprednisolone, and/or immunosuppressive treatment might be recommended. A limitation in assessing the risk of postoperative uveitis after PCS in a general population is that some of the analyzed cohort studies did not present the postoperative anti-inflammatory regimen [9, 10, 11], or do not report the percentage of patients with preoperative uveitis/posterior synechiae . In the study by Jaycock et al., uveitis/posterior synechiae were present in 0.96% of individuals preoperatively, and 3.29% of patients developed postoperative uveitis , while Syed et al. reported the prevalence of postoperative uveitis as only 0.24% . It might be concluded that when eliminating the POD1 visit, the patients should receive a prompt anti-inflammatory treatment, including a potent steroid (preferably prednisolone or dexamethasone). Individuals with preoperative uveitis or posterior synechiae might require a periocular steroid injection, or preferably a POD1 visit. Toxic anterior segment syndrome (TASS) is a sterile postoperative inflammatory reaction that usually presents at 12 to 48 h after surgery. TASS can easily be misdiagnosed since it mimics endophthalmitis with occasional reports of early vitrectomy as an unnecessary treatment. B-scan ultrasonography is useful in differential diagnosis, as vitreous opacities are usually not present in TASS. In a single institution study, TASS occurred in 60 eyes (0.22%) of a sample of 26,408 consecutive cataract surgeries . Ozcelik et al. reported an incidence of 0.8% among 1742 surgeries . The application of intensive topical anti-inflammatory treatment usually results in good visual outcomes. It might be presumed that TASS, as it results in a marked decrease in vision, eye redness, and occasionally pain and photophobia, can be easily noted by the patient. The postsurgical inflammatory reaction might also result in cystoid macular edema. In the study by Greenberg et al., cystoid macular edema was the second most common postoperative complication of cataract surgery with the prevalence of 3.3% . It should be underlined that cystoid macular edema usually develops between 1 and 6 weeks after surgery . 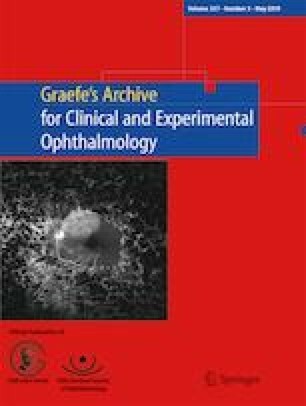 Moreover, some retinal diseases diagnosed preoperatively, including neovascular age-related macular degeneration and diabetic retinopathy, might justify additional perioperative therapy, including anti-vascular endothelial growth factor or/and non-steroidal anti-inflammatory drugs (NSAID) treatment. Setting the treatment regimen is commonly based on a scrupulous preoperative examination rather than on the POD1 visit results. However, postoperative dosing of a topical steroid might be related to the degree of postoperative inflammation. In a study by Greenberg et al., 0.9% of patients presented with IOL dislocation or underwent IOL exchange in a 90-day postoperative period . Early IOL dislocation is usually related to improper fixation of the IOL within the capsular bag, issues with asymmetric IOL fixation, or the presence of an incomplete or torn capsulorhexis . In recent years, the incidence of early IOL dislocations has decreased as a result of using a continuous curvilinear capsulorhexis and improved phacoemulsification techniques. Currently, most of the postoperative IOL dislocations present spontaneous in-the-bag dislocations and take place in the late postoperative period (i.e., more than 3 months after surgery) . In a survey by Mamalis et al., IOL dislocation/decentration was found to be the most common reason for IOL explantation . One of the root causes of such was inadequate zonular support for the capsular bag–IOL complex. A review by Vazquez-Pereiro et al. revealed that patients with pseudoexfoliation confer an increased risk for both early and late IOL dislocation . Other reasons for IOL exchange include incorrect IOL power, IOL opacification, or a failure by the patient to adapt to multifocal IOLs . With the formerly mentioned indications, IOL dislocation might require an immediate intervention. As previously stated, the American Academy of Ophthalmology recommends a follow-up visit be completed within 24 h after surgery in the case of patients with intraoperative complications  The most common intraoperative complication in cataract surgery is posterior capsule rent (PCR), with or without vitreous loss; its prevalence being estimated as 1.92 to 3.5% [9, 11]. PCR might result in several postoperative conditions such as vitreous in the anterior chamber or vitreous strand towards the section. If the vitreous in the anterior chamber is not cleared, it can lead to endothelial damage and corneal edema. Increased IOP can be a result of trabecular meshwork obstruction by retained ophthalmic viscoelastic device, vitreous in the anterior chamber, inflammatory cells, or pigment dispersion related to excessive intraocular manipulations. Posterior capsule rupture might also lead to uveitis, cystoid macular edema, or retinal detachment . Similarly, the retained soft lens matter might result in increased IOP, uveitis, corneal edema, cystoid macular edema, or retinal detachment. Other less frequent intraoperative complications include iris prolapse, vitreous hemorrhage or hyphema, iridodialysis, and suprachoroidal hemorrhage. Although the incidence of intraoperative complications in cataract surgery is relatively low, there is no evidence to eliminate a 24-h postoperative follow-up visit after a complicated surgery even in high-volume practices. A systematic review conducted to assess the value of early postoperative examinations was completed by Kessel et al. . No significant degree of better safety was gained by reviewing the patients on POD1, and deferment of the postoperative review was suggested in low-risk patients. A closer follow-up was recommended in patients with glaucoma in order to evaluate postoperative IOP spikes, in eyes with intraoperative complications, or in those patients operated on by less-experienced surgeons. Tan et al. suggested that the POD1 hospital visit may be safely managed by way of a nurse-administered telephone questionnaire with patient contentment achieved and the liberation of clinic resources ensured . In their study, only one of 238 patients reported a poor general condition, blurred vision with pain, and was asked to return for a clinic review on POD1. Tufail and associates compared the complications seen with SDD surgery (with a review occurring at 4 to 6 h postoperatively) with those seen with in-patient surgery (with a POD1 review) and found that the most common complications in both groups were IOP rise, corneal edema, and wound leaks . Only one patient in each group, with an iris prolapse, required attending to the department. It was concluded that there were no additional risks related to SDD surgery without a POD1 review. Allan et al. reported a low intervention rate of 2.8% in 1652 routine follow-up visits . Additionally, 7.3% of patients made unscheduled emergency service visits with an intervention rate of 50%. It was concluded that alternatives to conventional postoperative review, including shared care with non-ophthalmologists and improved perioperative patient education with an open channel for self-referral, should be considered. The Royal College of Ophthalmology recommends that the postoperative follow-up examinations should be carried out by an informed nurse, optometrist, or ophthalmologist . With that in mind, Eloranta et al. suggested that a postoperative check-up visit might not be required at all in the majority of cases . In the year 2006, a follow-up visit was advised to occur 1 month after surgery, while, in 2009, patients were informed that such an appointment is not necessary. Contacting the department was advised if they experienced pain, vision deterioration, or ocular discharge, and only those patients with intraoperative complications or comorbidities influencing postoperative recovery were selected for a follow-up visit. In the postoperative period, 4.2% of patients in 2006 and 3.9% of patients in 2009 contacted the hospital because of symptoms. Referral was necessary in only 0.5% of patients in the 2006 cohort, and 0.3% of patients in the 2009 cohort, while a surgical or medical intervention was needed by only one third of these individuals. It was concluded that the lack of a 1-month check-up did not influence patient’s safety; however, in cases with intraoperative problems, comorbidities influencing recovery, or postoperative symptoms, the patients should be seen at a low threshold. The annual cost of postoperative visits in cataract surgery in the US is estimated as $0.8 billion. Usually, the service is reimbursed by the insurance carrier and is not an out-of-pocket expense for the patient. In some countries, the post-op care is bundled with the surgical fee or might be required by the payer. Nevertheless, even in these settings, human work is expensive and the freed up resources could be used to manage other health problems. Commonly, cataract surgeries are performed as SDD surgery. The direct non-medical costs (e.g., transport, accommodation, and meals for patients and possibly their families) might constitute 49% of the total direct cost of cataract surgery, particularly in developing countries . In developing countries, patients may travel further to available or better facilities. As such, the current trend is that the postoperative follow-up is done by ophthalmologists. If there is no complication, the standard postoperative routine may be started. The patient must be informed of any complication. The surgeon then must decide whether to follow the patient or refer to a subspecialist or local practitioner. The final follow-up is done after 6 weeks with the optometrist for possible refraction and spectacle prescription. This practice saves many patients from renting hotel rooms, or at least doing so for a longer period. In developed countries where patients largely do not have to travel far and stay in hotels for operations, doing away with most POD1 visits would produce less patient savings. It might be assumed that applying these recommendation worldwide may not be suitable or possible. In many European countries, including Poland, a POD1 visit is advised by the national ophthalmic society and required by the payer, i.e., the National Health Service. We believe that this study could begin a discussion about the requirement of POD1 visit in all cases, and could eventually result in giving a choice to the surgeon in charge. In future research, it would be beneficial to analyze the psychosocial aspect of postoperative visits with regard to patients and their relatives. Patients may potentially feel more satisfied after being seen and having their treatment regimen planned by the operating surgeon on the POD1. Surgeons may also feel more comfortable after seeing their patients postoperatively and only plan the additional treatment or follow-up visits according to the clinical findings seen on POD1. With that, even if one severe complication in 100 or 1000 cases is detected, one might believe that this makes such a visit worthwhile. The great majority of patients will be happy to hear that their eye is healing well and to have their vision and IOP measured, especially if their vision is good. If the vision is poor, the patients and caregivers need to know why (e.g., due to corneal edema or any other reason) and what the final prognosis is. This also is an opportunity to review the use of postoperative drops, which elderly patients in particular may find confusing. The current literature does not support the concept of POD1 follow-up visit after uneventful cataract surgery. Although the incidence of intraoperative complications in cataract surgery is relatively low, there is no evidence to eliminate a 24-h postoperative follow-up after a complicated surgery, operated on by less-experienced surgeons, or in patients with chronic/recurrent uveitis or posterior synechiae. It is advised that patients experiencing any issues should be seen in the postoperative period at a low threshold. Applying a combination of topical dorzolamide/timolol and brinzolamide postoperatively in patients with glaucoma may be recommended, especially in eyes with preexisting optic nerve damage. Eliminating the routine POD1 follow-up could result in significant health care savings without an increased risk to the patient. Dr. Grzybowski reports grants, personal fees and non-financial support from Bayer, non-financial support from Novartis, non-financial support from Alcon, personal fees and non-financial support from Valeant, and non-financial support from Santen outside the submitted work. Dr. Kanclerz reports non-financial support from Visim. No conflicting relationship exists for any author.